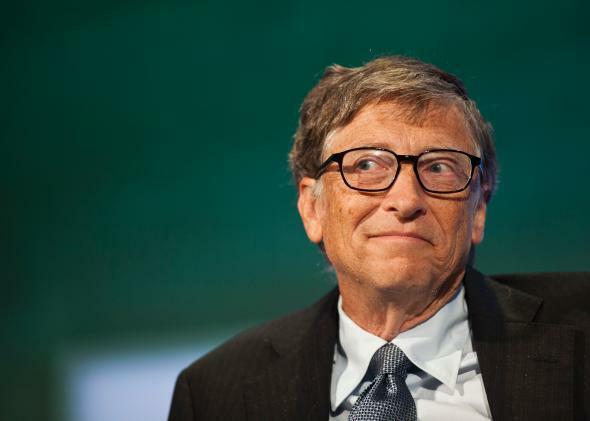 Bill Gates: Microsoft's control-alt-delete login was a mistake, IBM's fault. Microsoft’s co-founder blames “the guy who did the IBM keyboard design” for Windows’ awkward login requirement. Hundreds of millions of people around the world, including virtually everyone who has ever used a Windows device, have had to memorize the key command “control-alt-delete.” In retrospect, that was probably unnecessary, Microsoft co-founder Bill Gates said in a talk at Harvard last week. Basically, because when you turn your computer on, you’re going to see some screens and eventually type your password in, you want to have something you do with the keyboard that is signaling to a very low level of the software—actually, hard-coded in the hardware—that it really is bringing in the operating system you expect. … So we could have had a single button, but the guy who did the IBM keyboard design didn’t want to give us our single button. And so we had, we programmed at a low level that you had to—it was a mistake. The guy who did the IBM keyboard design didn’t want to give us our single button. There, in a nutshell, is one big tradeoff Microsoft made by partnering with third-party hardware firms rather than building its own computers, as Apple did. The strategy paid off handsomely, as Microsoft’s operating systems became the global standard. But it wasn’t without its downsides. Can you imagine Steve Jobs requiring users to perform such a wonky key command before they could begin to use an Apple device? Note that Gates is not talking about the original use of control-alt-delete to perform a “soft reboot”—Mental Floss has a neat history of how that shortcut came about—but about Microsoft’s decision in the early 1990s to make the command a requirement for logging into a Windows machine. Of course, Gates didn’t mention all the mistakes that rendered certain versions of Windows so unstable that users grew equally familiar with control-alt-delete as the only escape from a locked screen. Maybe that’s because he knew he couldn’t blame those on IBM.